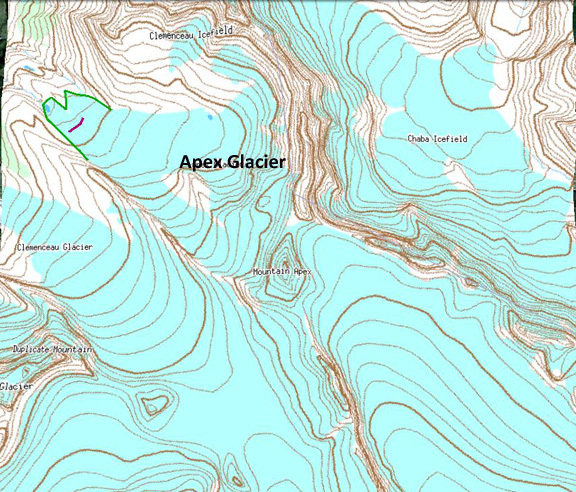 The Apex Glacier is part of the Clemenceau Icefield Group in the Rocky Mountains of British Columbia. The Apex Glacier drains into 430 square kilometer Kinbasket Lake impounded by the 1.75 MW Mica Dam. 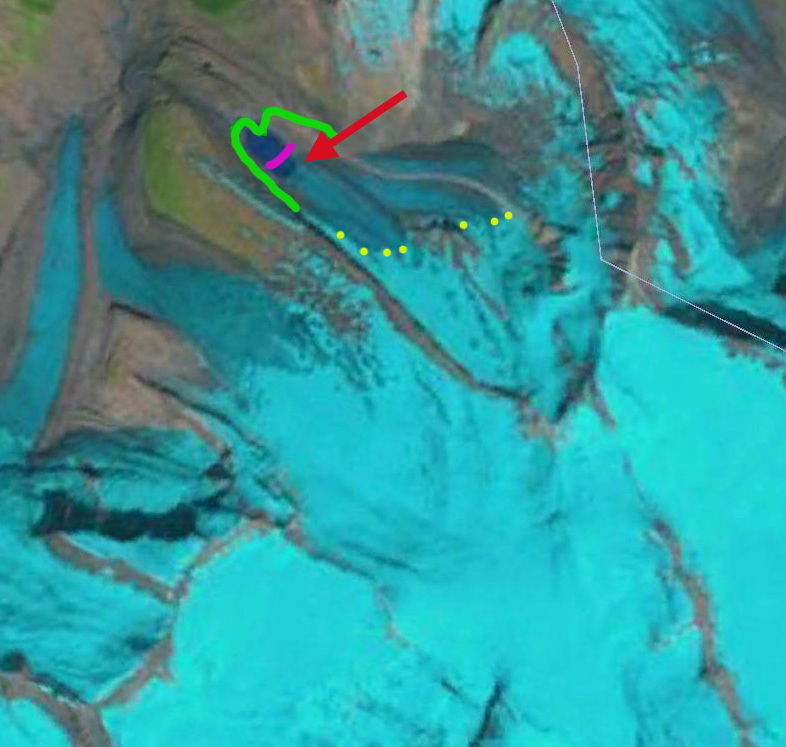 In a recent paper Jiskoot et al (2009) examined the behavior of glacier in this and the neigboring Chaba Icefield. They found that from the mid 1980’s to 2001 the Clemenceau Icefield glaciers had lost 42 square kilometers, or 14% of their area. During this same period terminus retreat averaged 21 meters per year on the glaciers. 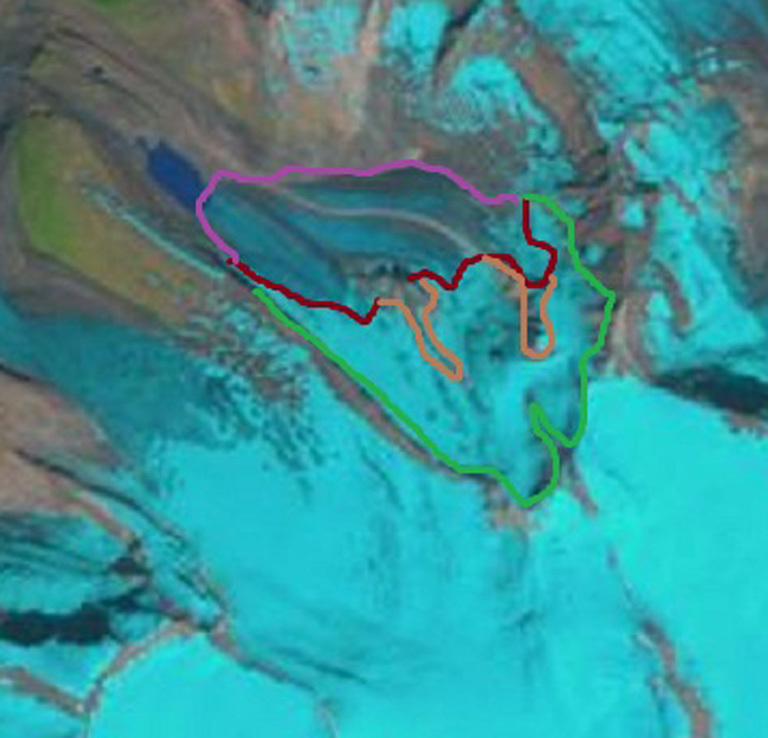 In this post we are looking just at Apex Glacier contrasting the mapped extent, 2001 extent and 2010 extent in a Landsat image. 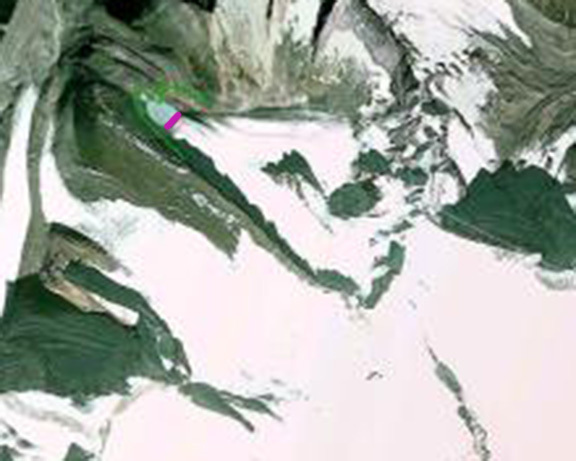 A new glacier lake began to form after the 1980’s mapped extent. In the images below the 1980’s terminus is marked with a green line, the 2001 extent in magenta. By 2001 in the Google Earth image the lake is 0.5 km long, in 2010 the lake is 0.8 km long. 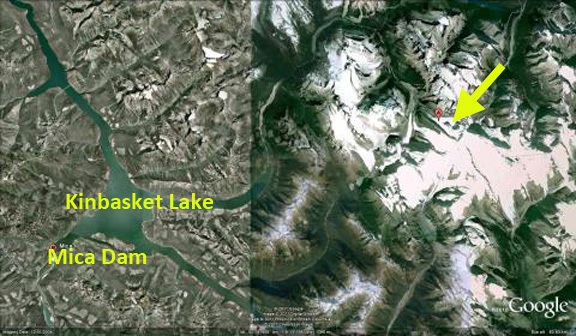 The result for Kinbasket Lake of the loss of the collective large area is a reduction in summer glacier melt and summer glacier runoff. The annual runoff which will be dominated by annual precipitation would not change just because of the glacier loss as noted in cases like the Skykomish Basin (Pelto, 2011) and Bridge River (Stahl et al 2008). 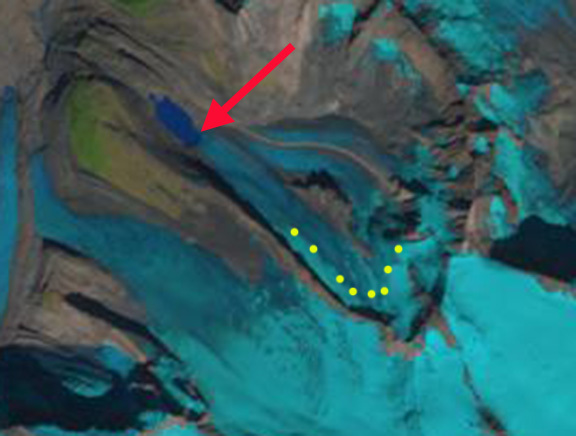 This entry was posted in Glacier Observations and tagged apex glacier retreat, british columbia glacier melting, British Columbia glacier retreat, glacier melt runoff. Bookmark the permalink.